Don't Believe Us, Believe Our Clients! Results are fast, reliable and accurate. Customer service is lightning fast and pleasant. Sales team is focused on partnership/relationships. They stand behind their product. Any issues I've had have been rectified almost immediately. The only problems I've had have been user error and the customer service team has always treated me with patience and kindness. Most of the vendors who offer background screening services all use the same software. Therefore, the people you work with make all the difference with your experience. Victig has had consistent support and low turnover. This has made it a great experience for me, because I know who to contact and for what, and always get a prompt response. We use Victig to screen our Board of Director members for an influential HR organization. Accuracy is critical for the prestige of these roles. 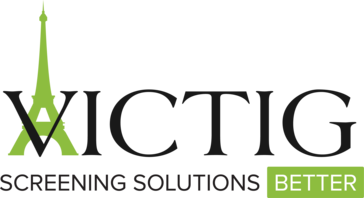 Victig has delivered every time and has taken the time to understand the needs of our organization to help us better identify the best resources for the results we want. See what VICTIG Screening Solutions can do for your business. We use Victig for our pre-employment and volunteer screenings. We wanted a customized portal and opportunities for volunteers to share in the cost and Victig's team was absolutely wonderful to work with and really took great care of us and made sure we had exactly what we needed. As a non-profit they were great to work with within a budget. It's nice to call and immediately get a person on the other end. In some of the reporting formats the way we view it has to be changed each time we long in. We felt our employment and volunteer screenings were falling short with the previous company we were working with and we were right. We like that Victig helped us understand what levels of screening were available and what would work best for our needs. We have had the flexibility to make changes and additions and always feel updated and confident with what we are getting. I have had dealings with multiple companies providing a similar service, they all pale in comparison to VicTig. They are accommodating, quick, thorough, comprehensive, personable, genuine and reliable. Their value is unmatched, their style is unique and their service is simply the best! I am lucky to have found such a trustworthy company and I look forward to our continued business relationship for many, many years to come. I can honestly state that I do not dislike any aspect of their service of which I’ve experienced. I have experienced numerous issues with multiple screening companies. VicTig has addressed and ended every single issue I’ve had to deal with in the past. I no longer have to worry, double check or even be concerned with the product they provide. I can finally rest easy knowing VicTig has me covered. The Support team if very responsive to the questions and concerns I raise. Typically, I reach out when I need assistance in providing flexibility to job candidates who need to present their drug test on a weekend, or if I need to reschedule drug tests. I receive prompt and helpful responses each time. Victig Screening Solutions is a proactive tool to create a safe and secure work environment for employees. There are many things I like about our relationship with Victig. First, we have a long-standing relationship with their local representative. Victig is reasonably priced, offers fast turnaround times on reports, has an easy to use platform and is highly responsive to our needs. I have nothing bad to say about our relationship with Victig. We see them as part of our due diligence process for recruiting and hiring the best of the best. A highly recommended business solutions partner for our organization. If you need the services they offer, you will not be disappointed. Well, certainly the obvious ones. Accurate background screen with fast results. We also occasional have special needs and they always find a way to craft our group searches in a manner that is low labor-intensive on our end. Victig has the best customer service around. Their turnaround time is so quick on all reports and I know I can trust the information being pulled. Victig is an A+ company! Other background screening companies are dishonest and untrustworthy. Victig is always 100% transparent and honest is all of their business doings. Choose this company! There is no better background screening company around that will provide the level of quality service that Victig does. Victig can process background checks so quickly and helps our business run seamlessly. There is no other background screening company that can compete with the caliber of service that Victig provides.. I love that the results usually come within 24 hours for domestic background checks, and instantly for credit checks. I had one teensy problem doing a background check for a new hire that worked in a small town in Japan for two years. Victig's source for background checks in Japan only does them for the Tokyo area, so I didn't get a background check for two years of this new hire's working career. All of the rest of her background checks turned out clean, so we hired her anyway, but this is something to consider for HR personnel who routinely hire people who have worked abroad. Victig is a great solution for just about all of your background check needs (except if your candidate previously worked in rural Japan.) They do a great job with domestic background checks and background checks for Singapore and the UK. Victig helps me to do quick background checks for prospective employees with ease. I have successfully on-boarded three people this year with little difficulty. I also was able to avoid hiring one potential intern with a criminal record. I like how personable everyone is. Everyone you meet is so nice and caring. I don't have anything that I can think of that I disliked. I've noticed that it's ease of access really helps our company to effectively use how background checks should be used in the first place. Their software is by far one of the easiest to use. No guessing whether a field is required as part of a background screening. You can quickly and easily submit all information required. Their customer service is also wonderful. Whether you have a question on the background submission process, or need help interpreting background check results, they are always there to assist when needed. No complaints. The software functionality and appearance are great. I've only used this a handful of times. VICTIG provided a cost savings for our business as well as reduced the amount of time we have to wait for background check results. Requesting routine Background Checks used to be a lot of work on our part (HR). Now I enter 3 pieces of information, and it's all done. I save so much time, and it's unbelievably easy. When given the 2 options: (National and International) - the National option looks confusing. It may be hard to see that all it is. I would recommend it 100% for ease of use. If you just want to get through the onboarding process, use the Background check option - all you need is a name and email address, and the New Hire fills out the rest. It is great. Their customer service is also 100%. Richard White, or someone from the team, will get back to us within the day, often within the hour. It is a great, personal company and it's been a NON-hassle.